KCEA Radio studios are located on the campus of Menlo-Atherton High School in Atherton, Ca. Our transmitter facility is located in the Heather Highlands area of San Carlos, CA.In 1979 the Sequoia Union High School District, which owns the broadcast license for KCEA 89.1 FM, established it as a high school radio station. This station features big band music from the 30’s and 40’s, 24 hours a day. 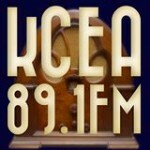 KCEA serves as the disaster information station for the surrounding area.KCEA Radio has a library of over a thousand albums and compact discs of the big band era, which is always expanding. KCEA Radio produces and airs free Public Service Announcements (PSA’s) for local events such as concerts, dances, community activities, and information on consumer and health awareness.